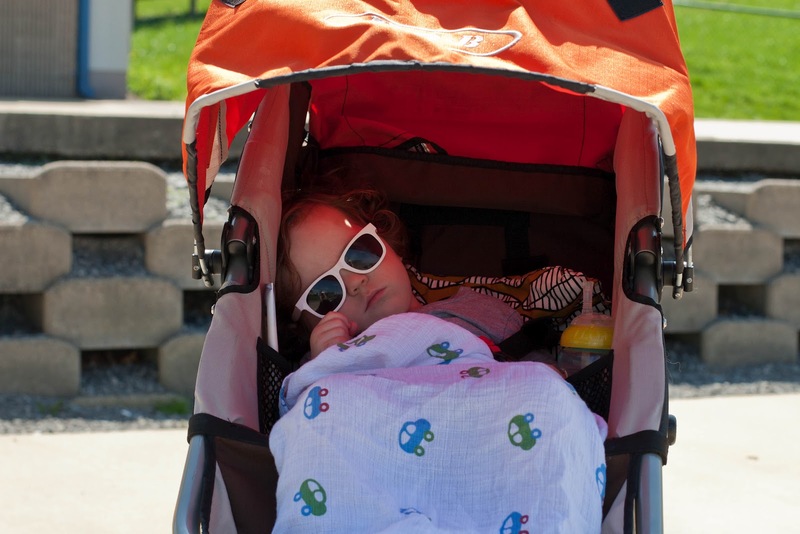 Little man catching some Z's with his cute sunglasses on. The weather was perfection (70 degrees & breezy). Ahh...can't wait to repeat this day over and over again. ps. The BOB is most cherished baby item by FAR. I'll be back with a little list of my favorite kid gear.